The yellow, orange and red fall foliage of maple trees makes them a favorite among homeowners. 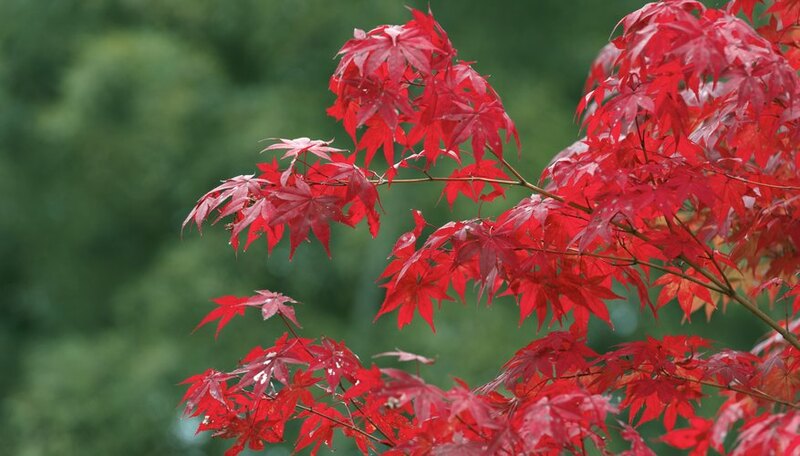 There are several types of maple including silver, red and Japanese, each with its own unique growth rate. 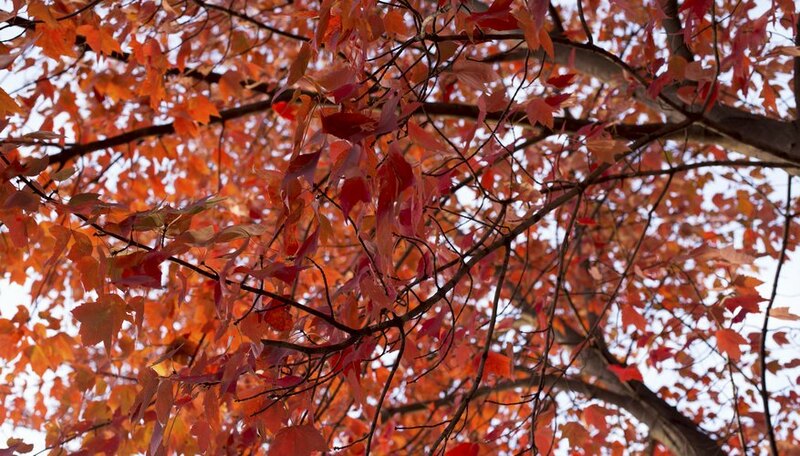 Maples with soft wood break more easily in storms but are also the fastest growing maples, according to Clemson University Extension. This includes red and silver maples.The red maple grows especially rapidly early in life. Red maples are considered moderate or fast-growing trees, gaining up to 12 feet in a five- to seven-year time period. Red maples grow in height beginning early each spring. Radial growth occurs later in the season and is completed in as little as 70 days, according to University of Wisconsin Extension. Most red maples reach a height of about 60 feet and a width of 25 to 35 feet. They have been known to sometimes reach heights of 120 feet, according to Clemson University Extension. 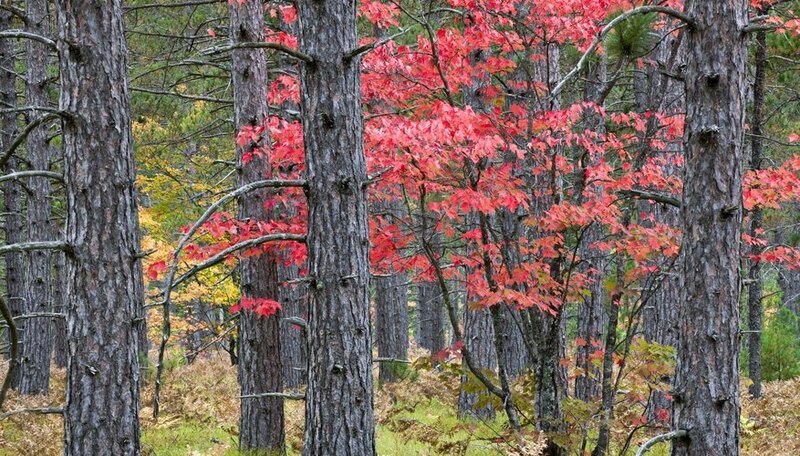 Red maples take 70 to 80 years to mature, and can live as long as 150 years. 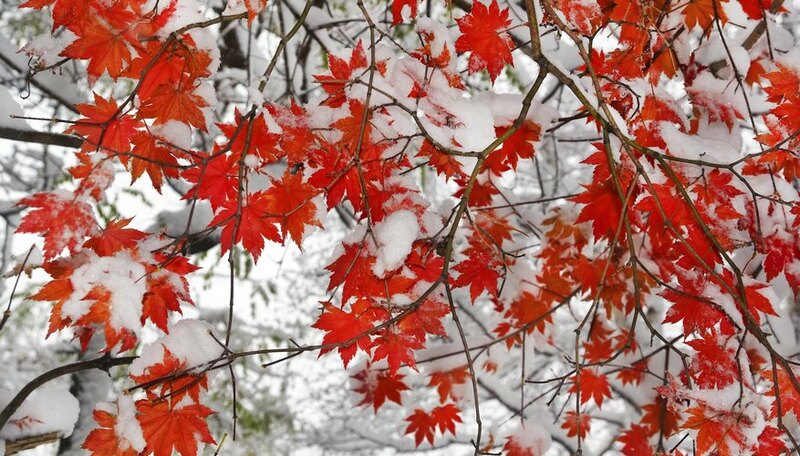 What Is the Difference Between a Red Maple & a Celebration Maple Tree?